The great thing about living on Earth (well, one of many...) is that it's such an epically beautiful place. But just because our planet has that whole habitable thing going on doesn't mean that the rest of the solar system doesn't have something to offer in the pretty department. 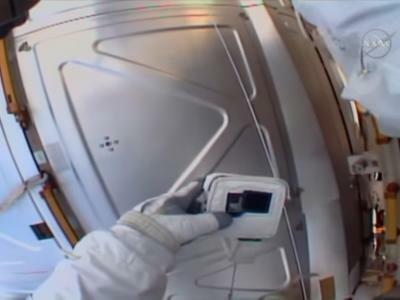 NASA is better than anyone at documenting the beauty that Earth and its planetary neighbors have to offer. Here's a few photos that show just how gorgeous our neck of the woods really is. 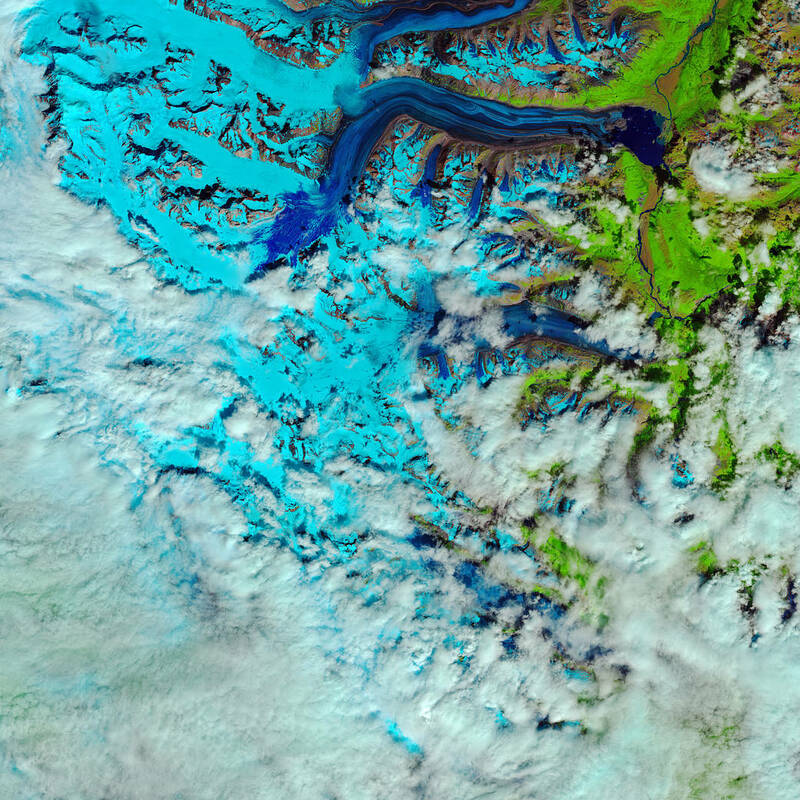 This false-color image shows rapid snow melt on Canada's Lowell Glacier, which is located in Kluane National Park in the Yukon Territory. The light blue areas are frozen water while the dark blue areas represent melted water. Vegetation is green and rock material is brown. In this shot, the dark blue area covers over 25 square miles. That's a big snow swamp! I've had the pleasure of seeing the Northern Lights a time or two, and if you haven't had the pleasure, you're definitely missing out. 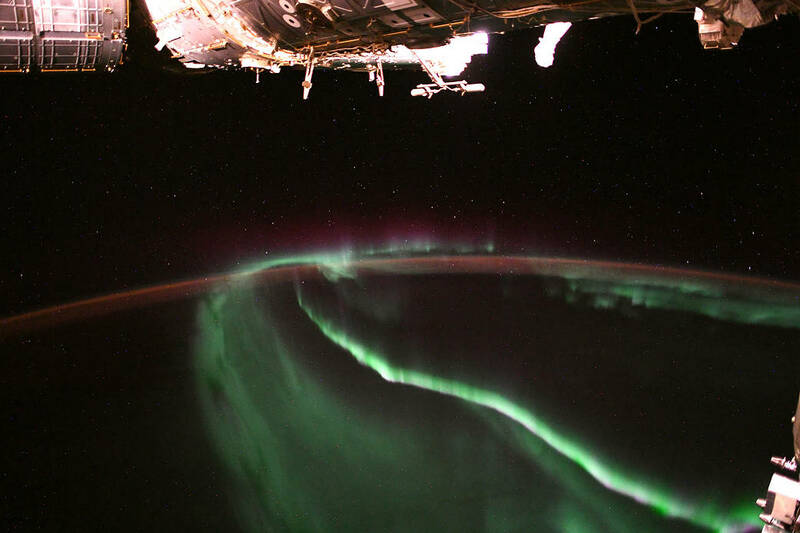 Of course, I saw them from the ground, which is nothing compared to this view of the aurora extending above Earth. Auroras are caused when energy particles from the sun hit the atmosphere and release particles that were already trapped there. This, in turn, causes oxygen and nitrogen molecules to release photons of light, the result of which is the dancing lights we get to enjoy from time to time. 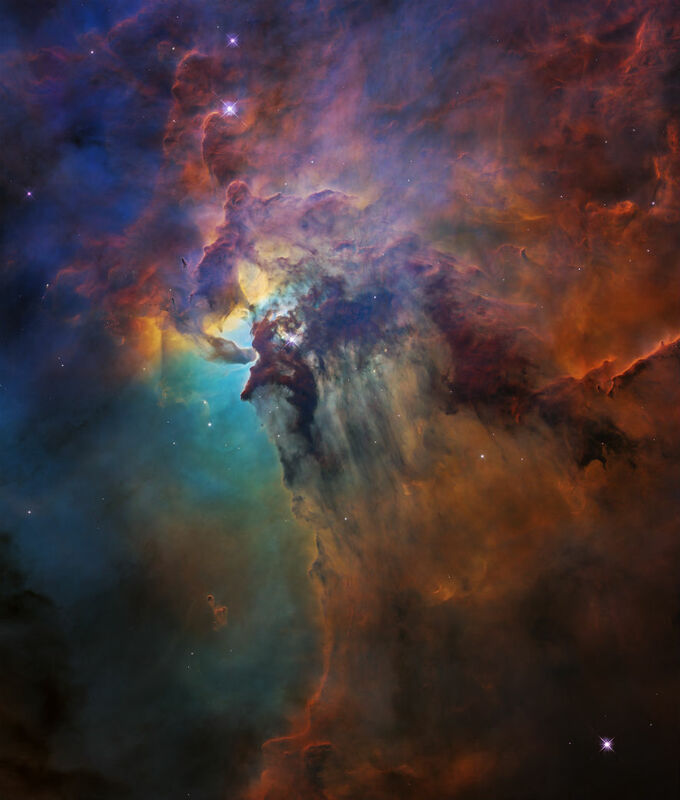 A little further from home, there's plenty for NASA's cameras and telescopes to check out, including the Lagoon Nebula, pictured above. This nebula is about 4,000 light-years from Earth, but it's so massive that you can actually see it as a small dot of light with nothing but binoculars. In the middle of the nebula is a giant star that's 200,000 times brighter than the sun. It emits so much radiation and stellar winds that it causes the incredible array of gas and dust formations you see here. 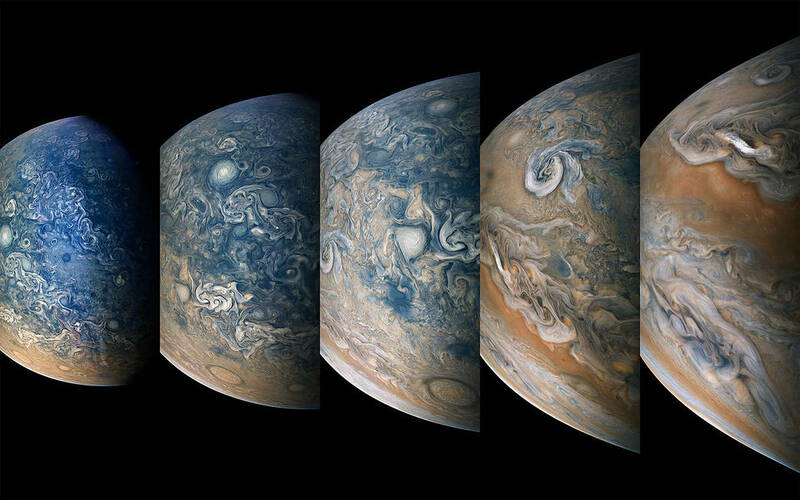 This time-lapse collection of images shows the gas giant's northern hemisphere, from a distance that varied from just 3,900 miles up to 15,700 miles. NASA's Juno spacecraft took the images, which are actually available for people to edit here. 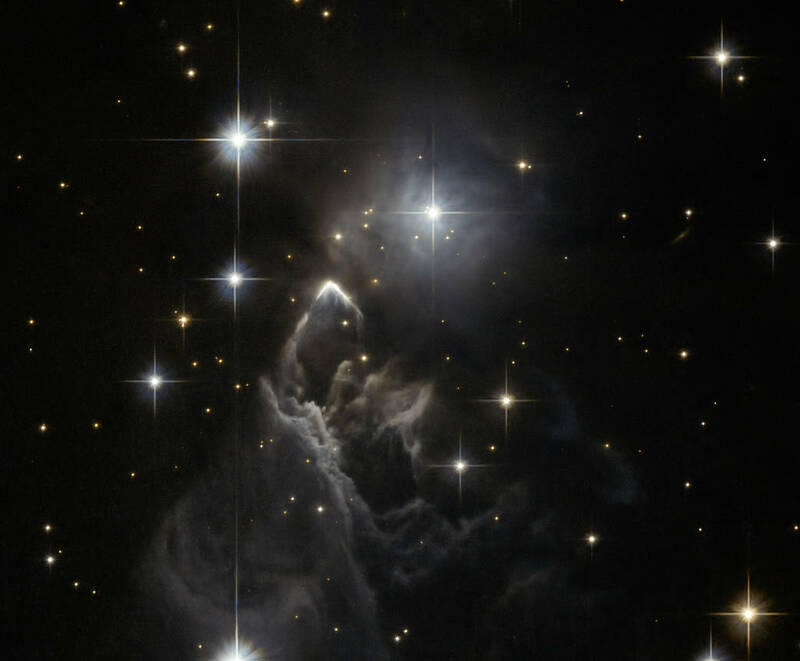 Taken by the Hubble Space Telescope, this image of the nebula IRAS 05437+2502 shows huge billowing clouds of dust amongst ultra-bright stars. This particular nebula is located in the Taurus constellation, and remains relatively unknown and unstudied. In fact, astronomers aren't sure how it formed, and it was only discovered in 1983. 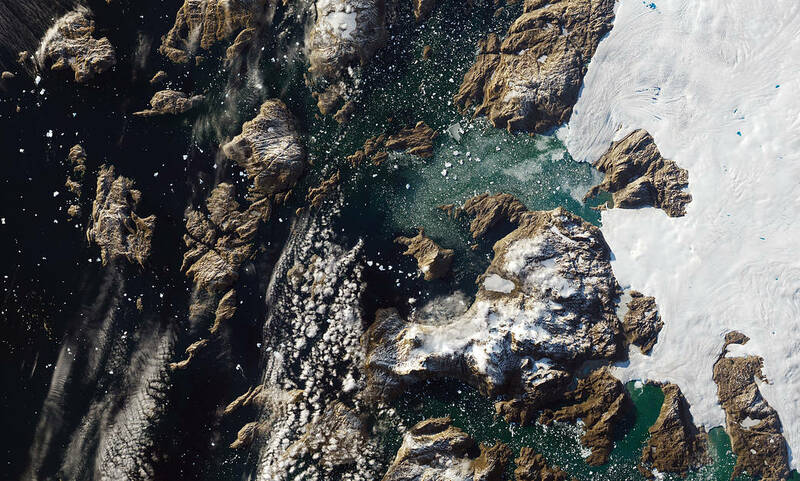 In July of this year, an enormous iceberg weighing 11 million tons drifted toward the village of Innaarsuit in Greenland, and parked itself not far from shore. Though impressively beautiful, the iceberg presented a great danger to the community - had a chunk of it sheared off, a tidal wave could have ensued and swallowed the entire village. Fortunately, the iceberg hasn't sloughed off significant ice or rolled in the water so far, and the village has remained safe. Over on Mars, an ice cap comprised of carbon dioxide covers the South Pole. When spring arrives in this area of the planet and the sun begins to warm its surface, these "spiders" begin to form on the surface. These features form when carbon dioxide heats up below the surface and release into the atmosphere. 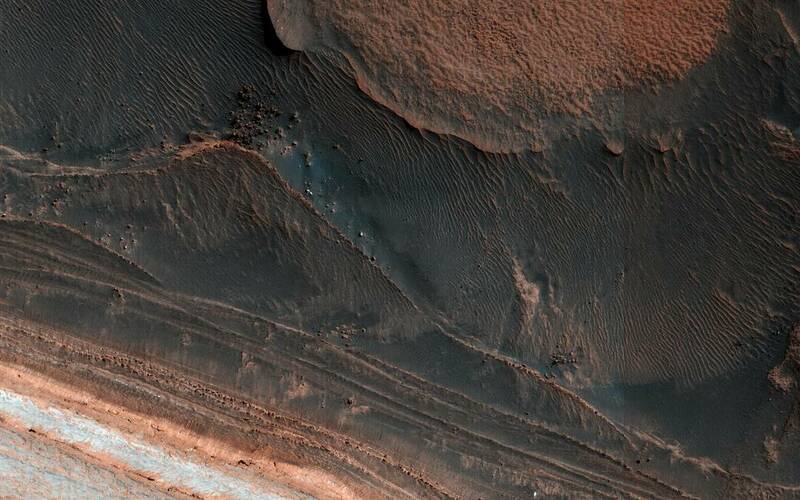 In another shot of the Red Planet, we see layered deposits in the North Pole region. 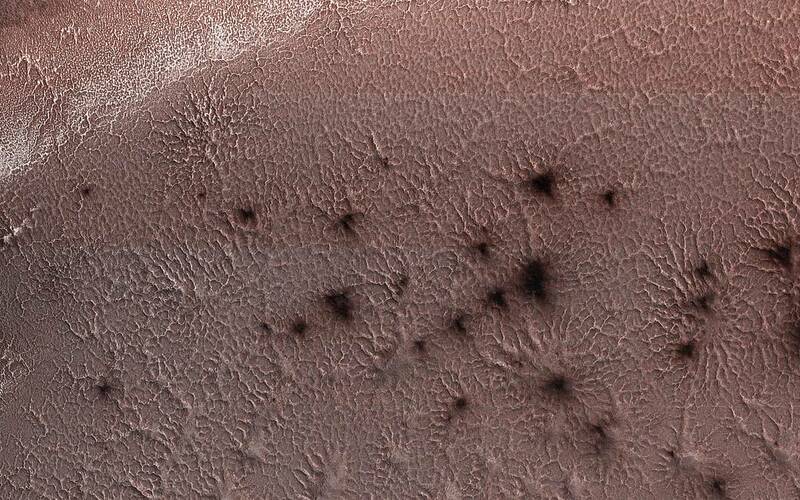 Taken by NASA's Mars Reconnaissance Orbiter (MRO), the photo shows ice blocks and ice cliffs, which, over the years, have become more numerous in this region. It's not a bad abstract photo if you ask me! Located in the constellation Carina, this nebula is about 20,000 light-years from earth and contains a huge cluster of stars called NGC 3603. The ultraviolet radiation and stellar winds blowing outward from the nebula created a large opening in the gas and dust cloud that surrounds the cluster. Most of the stars here were born at the same time, but they vary greatly in their size, temperature, mass, and color, leading to the beautiful scene captured here by the Hubble Space Telescope.